Douglas tells Sean that when he oils his car he needs to remember to oil his trunnions. Sean is baffled by the dry cleaning man. How does he know who owns the clothes? Douglas tells Sean that when he oils his car he needs to remember to oil his trunnions. Barbara says a magic wallet is called a Jacob's Ladder. Stretch says it's called a Milkman's Wallet. 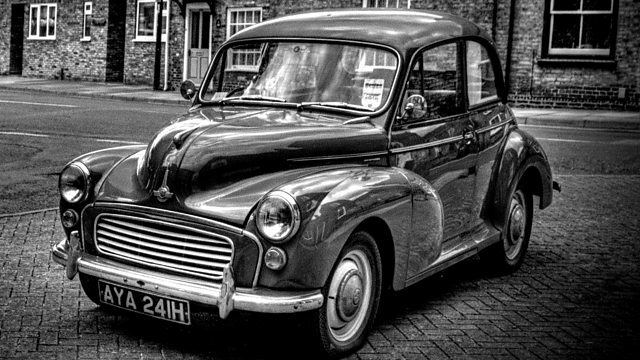 Davey in Banbridge was trying to impress girls in his Morris Minor, but the wheel came off. Iris in Ballyclare said her bread man sold magazines. Margaret said her bread man used to sell cigarettes, and Theresa's bread man delivered eggs. Sean is baffled by the dry cleaning man. How does he know who owns the clothes? Eileen in Comber still has a vegetable man who comes every Friday at lunchtime. Music from Jeff Beck, Hello, Bette Midler, Albert Hammond, Christie Hennessy, Randy Travis, Lindsey Buckingham and Christine McVie, and more.